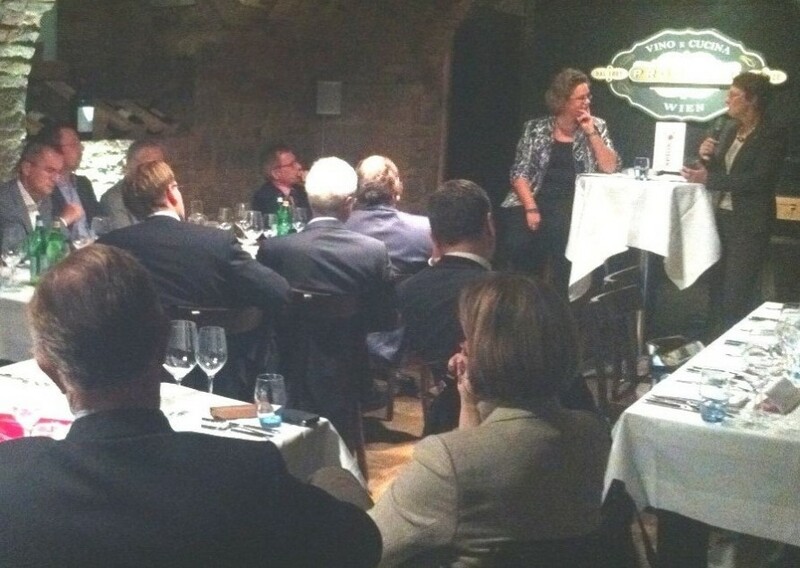 The 4th salon of pioneers on “Smart City – Pioneer of the Urban Future” brought together a high level group of CEOs and policy makers listening to a vivid conversation between Dr. Gabriele Payr, general director of the Wiener Stadtwerke and Mag. Sandra Kolleth, Xerox. The conversation was followed by a general discussion about the future of economy and society and a delicious dinner at Procacci, Vienna. The participants experienced an entertaining and informative evening and are looking forward to the next “Salon of Pioneers”. Xerox and FASresearch started 2011 with this event series on the importance of pioneer-thinking and pioneer-values for our future. Mag. Georg Kapsch, CEO of KAPSCH AG and President of the Federation of Austrian Industries was the invited speaker at the 1st Salon of Pioneers. Wolfgang Katzian, chairman of the union GPA-djp and member of the Austrian Parliament was our guest at the 2nd Salon of Pioneers, followed by Dr. Georg Kraft-Kinz, vice director of the Raiffeisenlandesbank NÖ-Wien AG, dialogue partner at the 3rd Salon of Pioneers.